The best of the best! For those pressed for time or perhaps considering the budget – here is the flagship Kimberley Ultimate itinerary condensed into a single week voyage! 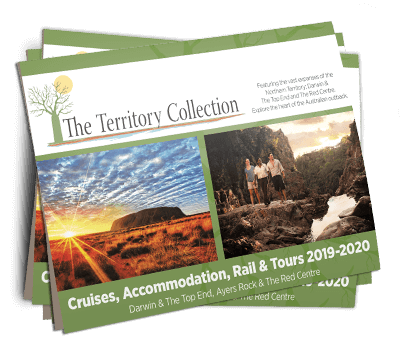 Features several Kimberley icons including the King George Falls, the Hunter River, the Prince Regent Falls, Montgomery Reef and the Horizontal Falls. Your ‘Welcome Aboard’ the magnificent TRUE NORTH is in the pearling port of Broome. Embarkation is at 1700 – time for a cocktail with your fellow adventurers before departing at approximately 1830. Dinner is served shortly after leaving port for the overnight cruise to Yampi Sound. Awake to the majestic Kimberley and savour an irresistible True North breakfast as we glide past Cockatoo and Koolan Islands – our attentive crew will be happy to introduce the colourful histories of both! Then it’s time to ‘personally’ introduce you to a Kimberley icon – The Horizontal Falls. Experience the awesome power of the region’s huge tidal range in an exhilarating tender ride and then climb aboard your air conditioned helicopter for a view of the falls that very few experience! Then – you will have hardly had a chance to catch your breath when, for those who can’t wait one minute longer, Leadline Creek will be the first opportunity to ‘land a barra’! Before you know it, your first day onboard will be coming to an end – but there’s still time to select a fine wine and to enjoy a leisurely evening meal as we cruise to Doubtful Bay. This morning is devoted to exploring the Sale River. Fish the mouth for barra and then join naturalists and adventurers alike as we ‘ride the tide’ on a classic river expedition! Enjoy a swim in your very own billabong before returning to the ultimate comfort of the True North. Then, you’ll probably be enjoying lunch as we weigh anchor and cruise for another Kimberley icon – Montgomery Reef! Montgomery is a unique eco-system that must be seen to be believed – and see it you will – as 140 square miles of coral reef rises out of the ocean right before your very eyes! Water cascades from the reef as the tide falls exposing a privileged glimpse of another world! Turtles, dugong, manta rays and every imaginable sea creature abound and the helicopter puts all in perspective! The scenery will astound and there are some not to be missed fishing spots as the True North graces the majestic Prince Regent River. At Kings Cascades we manoeuvre the True North right under the falls. Then it’s time for more ‘adventure in the tender’ – a chance to stretch the laces on your hiking boots and an opportunity to swim in yet another picture perfect billabong. The helicopter will be popular again when the first group of intrepid explorers returns from Jurassic Park! If you think the Regent was good – wait till ya see the Hunter! With stunning red cliffs set behind rainforest and mangroves – the Hunter River is yet another awesome setting for fishing, mud crabbing, bird watching and just simply exploring! Enjoy an exhilarating hike to the hidden Jackson Falls and there’s even more splendour from the helicopter! Hopefully we’ll have time for a sunset drink on Naturaliste Island and then it’s an overnight cruise to Vansittart Bay. Yet another mighty Kimberley river – The King George! As soon as the tide is high enough, we’ll cross the sand bars at the mouth to reveal even more breathtaking river vista. Then our journey upstream will take us to the very ‘jewel in the crown’ – The King George Falls. Here we anchor at the base of the Twin Falls and you will find endless places to explore. Climb, or take the helicopter, to the top of the falls for a cruise highlight. Just the thought of leaving this magnificence will inspire mutiny! Learn about the bombing of a state-ship during WWII, then take a stroll at Tranquil Bay before we continue onto the frontier port of Wyndham.